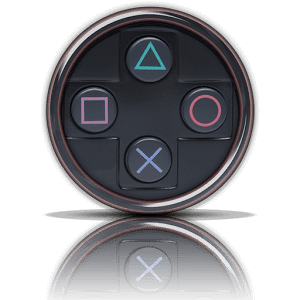 Not all devices are supported, therefore it is strongly recommended that you try the Sixaxis Compatibility Checker (available for free on Google Play) before purchasing this app. - ROOT access is required!!! - Due to the way pairing is done with the controllers, you need to manually pair your controller with the PC utility 'SixaxisPairTool' (available on the website) and a mini-USB cable. Android 3.1+ users can also pair directly on their devices via USB. - It is highly recommended that you use an ORIGINAL controller. Many after market controllers will not work with this app. If you get a 'Client connected: 1' message, but the lights on your controller continue to flash, it is almost certainly not an original Sony controller. - The fake controllers that are most likely to work (though not guaranteed) are those made by Gasia. If you bought a fake that works but isn't made by Gasia, I'd love to hear from you so I can compile a list of known working controllers. - Be sure to read the instructions in the help menu carefully. - Up to four Sixaxis, DualShock 3, DualShock 4 and Navigation controllers supported at once. - Support as a native gamepad in Android 3.1+ devices. Full support for analog sticks and analog triggers. - Keyboard emulation. Map all buttons and sticks to almost any key available in Android. - Mouse emulation. Configure a button to activate the mouse pointer on devices that support mice (most tablets, and many phones should work). - Touch emulation allows you to map buttons and analog sticks to the screen. Play all your favourite games with full analog support, even those without built-in controller support! This product is not affiliated with, nor authorized, endorsed or licensed in any way by Sony Corporation, its affiliates or subsidiaries. All trademarks are property of their respective holders.